ARA are in the elite “A-Team” category when it comes to Remodel Contractors. They just make it happen. This urban grocery store serves a busy community in Northern Virginia. It is located in the busy Washington suburb of Arlington, just minutes from Reagan International Airport. This location is quite unique, in that it is situated in the basement of an 11-floor apartment building with elevators running from the store area to the apartments above. The re-model and renovation was part of a complete refresh of the store after flood damage. The store remained closed for the duration of the project, the scope of which was to completely renovate and re-do its floor and wall finishes. New refrigeration cases and cooking equipment were being added in every department; the pharmacy, break room and restrooms were being re-done, and the prepared foods areas were also to undergo complete renovation. Part of this renovation was to add a café area to serve the high volume of foot traffic through the space. A section of the parking garage was converted to accommodate this. High quality finishes had to be achieved on a tight schedule. This project involved a large scope of work, and every tiny detail was important in order to meet the high expectations of an ARA customer. 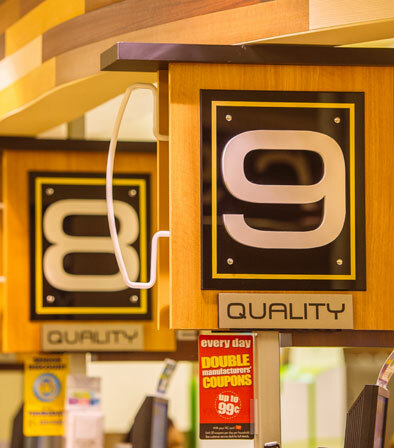 An intricate EMS system was implemented in the store – controlling everything from the energy saving LED lights to the refrigeration system and even the cooking equipment. It was challenging to implement such a system into an existing space. Ultimately, the re-modelling and renovations were completed on time and to an excellent standard, allowing the store to re-open on schedule.